A lot has been written and spoken about employee engagement. Everyone knows how important is this for innovation ,success and growth but not many people are clear, what is takes to create a culture of performance. Behavior’s, attitudes and perception are as volatile as the stock market and at one instance I believe you and at another I do not . So how to address the problem ? 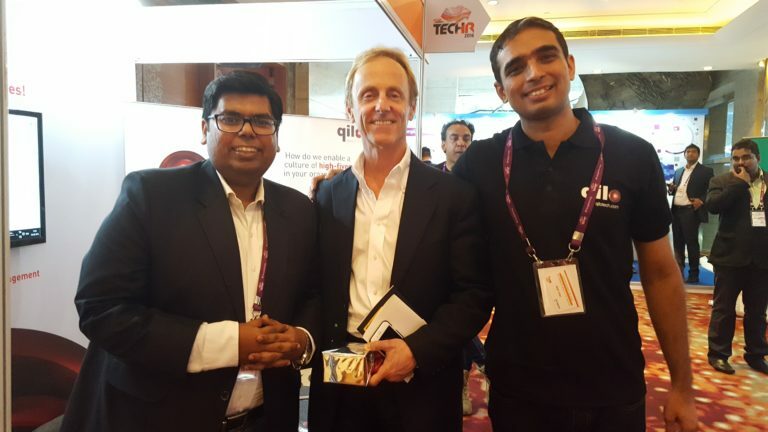 Last week, we at team qilo participated in the Asia biggest techHR event. We got an amazing response for our cloud-based technology solution. But rather than talking more about how it went for us, let me share top 10 learning from techHR -2016. Gerry Crispin, one the recruiting industry veteran, shared that “give a good experience while hiring, and get more candidates. Give a bad experience, and you’re losing candidates before they even apply”.Start treating your prospective employees in a way you will treat your first customer, and you will start attracting awesome talent. Josh Bersin shared his views on how new age technology tools are changing the way people are managed, assessed, engaged and learn at the job. More and more business and HR leaders in India are realizing the importance of people focused technology solution and how it can enhance their business success. Organizations are adopting cloud-based solution more than the in-house solution to reduce the time and cost in implementing the technology. HR technology 3.0 is on the way and big ERP vendors are not able to invent and innovate at the same speed. New age solutions need to be employee-centric and should be habit-forming products which enhance day to day professional experience of the employee.Design think is what is missing in all the tools which are today consumed by employees. Performance management is changing for sure. It has to a continues process, more meaningful , should enable managers to become coaches and enable employees to be more productive. People analytics solutions are improving at a very fast pace. And rather than just showing vertical bars and pie-charts, technology solutions should throw meaningful data to the leadership of organizations to drive their talent strategies. Employee engagement needs to move beyond the surveys. It has to be real time and it has to bring impact at the bottom of the pyramid. Organization who will understand the way people want to work,engaged and deliver will succeed in future. And by the way, did I mentioned that we got High-fives from Josh Bersin, the guru of HR technology. Josh’s word’s like “this is the kind of solution organizations needs and I am glad that startup’s like you are doing it here in India” was music to our ears. Over the weekend, I was discussing with my friends how critical it is to define goals in the organization. The discussion became more meaningful as in few organizations where my friends are working , mid- year goal defining exercise has started. And every time goal setting and performance activity come up, this entire exercise seems to be meaningless and wastage of efforts. Our discussion became more intense when we started seeing specific goals & KRA’s assigned to them in their organization. Help delivery managers in selling services to clients. Focus on retention of existing clients. Enhance quality of technical solutions. Achieve high CSAT score by developing new methodologies and processes. For employees, it’s difficult to give data points against above defined goals that how they have performed on these KRA’s. Think from employee perspective that if you have to enter details about what you have done throughout the years to achieve these goals, what all points you will enter? And will you be able to collect all those data points which will justify that you have performed well in achieving those ? This is precisely the reason employees give them highest scale when putting data against their achievement against goals which are not defined properly. 3. For manager, it doesn’t enable them to evaluate and give feedback to employees properly . Consider this, as an employee if I have worked on two assignment through the year, I will keep mentioning same points in above KRA’s. Will this give enough data points to the manager about how his team member has performed with respect to that KRA. Will it give manager enough data on which things she should recognize the employee or coach the employee on for her better performance. Again employee will be evaluated on the basis on perceptions and not on actual data. Define KRA’s and KPI’s which employees are able to correlated with their day to day work. Or why can’t the KRA’s be same as project or assignments which employees get involved in. These KRA’s should push employees to aim high. When aiming high, even failed goals tend to result in substantial advancements. Left the exercise of defining KRA between manager and employee. As an HR leader, you should focus on enabling the team on defining the relevant KRA’s. Off course, you need to keep an eye on whether KRA defined are relevant or not from organization respective and within defined boundaries or not. Leaving these exercise between manager and employee will also enhance the employee engagement. Use a proper tool to automate the entire process of defining KRA,KPI. And monitor the progress on those in real time basis. Goal setting and defining KRA impacts talent engagement the highest level, as it impact how employees should perform their jobs and are evaluated. Making KRA more meaningful will NOT only help engage employees but will impact overall organization growth. Relationships are built on trust. 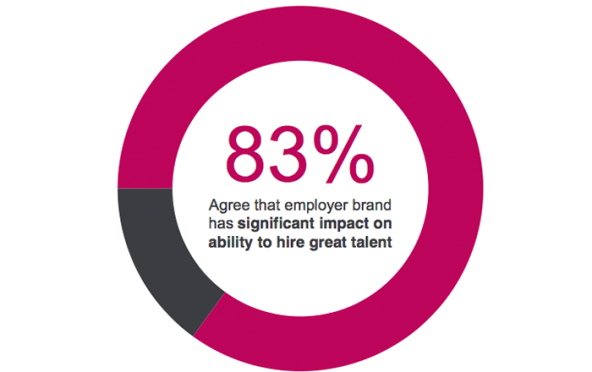 Every organization today, is focusing on building the employer brand. But do organization have “ Trust ” as key dimension to their employer brand. Simply putting, do we trust our employees and most importantly, do employees trust organization. And can a brand establish itself, if there is lack of trust? Let’s look at examples across employee life cycle. Employer believes, the information given by candidate is not right. The clichéd, we cannot share this info with employees (Even if the world knows about it) . An India IT company was about to be taken over by a giant, and for over 6 months, everyone “knew” about it .. just before the acquisition CEO writes a mail .. Focus on work … nothing is happening. ET publishes the story next day and announces… there goes the trust .. Restrict info access, because employees will share info with competition and market. And to top it all the governance committees etc. Organization – Dear employee I don’t trust you. Employee – I don’t trust you either! We talk about building transparency at work; need to walk the talk, and build a culture of trust and commitment. It starts from the top. All we need to do is, say right and stay committed to what we say. Well is it that simple?